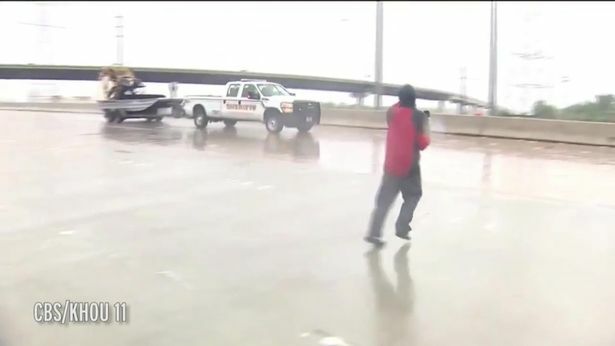 A local news reporter has been dubbed a hero after helping to save the life of a stranded truck driver in the throes of Hurricane Harvey. The driver, identified simply as Robert, was stuck in the cab and the water levels were rising, putting him at risk of drowning. The lights are going on this truck and the windshield wipers are going and as we get a little closer, it does look like there is someone inside… There is movement inside of this truck. Moments later, a patrol car towing a boat sped past and Brandi left her post to flag it down and ask for the passenger and driver’s help. The continuing broadcast showed the rescue mission underway, and the truck driver being pulled out of the trapped 18-wheeler. 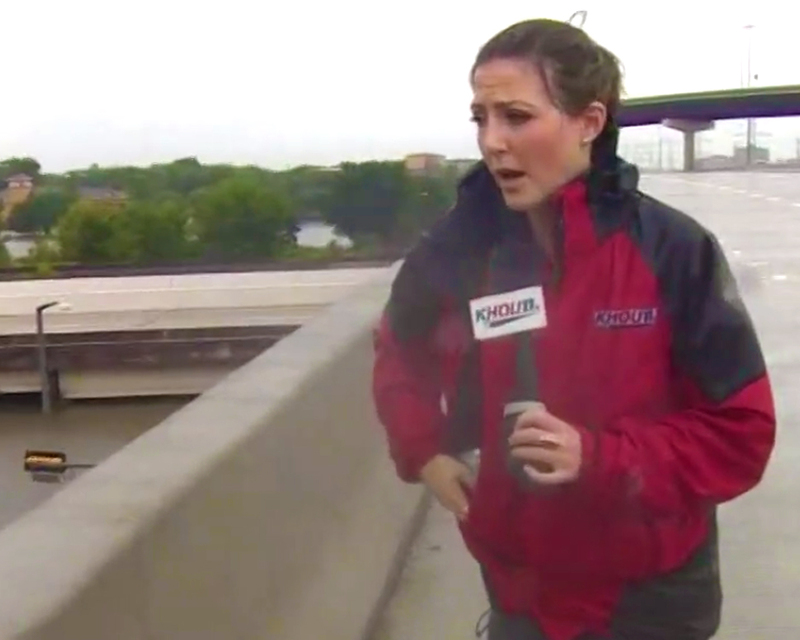 Brandi Smith was still reporting after the KHOU studio had been completely flooded and her colleagues evacuated. Estimates state 30,000 people will need to be placed in shelters. There are five suspected fatalities in connection with the carnage caused by Hurricane Harvey and the ever-rising floodwaters. The citywide rescue missions are ongoing.